When creating any digital project, the focus must now be on the user. Websites, marketing campaigns, posts and social content are all designed to offer a User Experience that encourages you to arrive, spend time, and guide you to convert on the site. In this context, the UX or User Experience Design is a fundamental element to creating websites and digital content, infographics, videos and news, that are made to offer a pleasant and effective digital journey for the user. What is the UX Design? UX Design is a technique that deals with the users’ experience concerning the offer of likeable content that incites positive emotions. If the user is at the centre, a UX Design project must first of all produce answers to the needs of those users who are navigating the web. Taking into consideration the visual aspects, characterised by the simplicity of navigation and pleasantness. This is aimed to stimulate emotions and curiosity, to encourage the purchase or lead generation activities, such as filling out a contact form. It often happens that there is some confusion when using these terms. The UI Design represents part of the UX Design and concerns the creation of the interfaces that offer ease when navigating the web, efficiency in searching for content, and appreciation in the visual aspects that the owner of the website wants to show the visitors. UX Design also involves other disciplines, such as digital marketing and some SEO practices. But in particular, it consists of the analysis of the most visited content, the behaviour of users within the website and competitor analysis. Understanding these things will result in the design of a beautiful website, that is easy to explore and focuses on users needs. The UX Designer not only deals with the design or redesign of a site: the process involves a previous phase, an analysis of the behaviour and needs expressed by users who visit the site. A design and execution phase and subsequent real-time monitoring and analysis of results, to obtain useful data for the process of continuous optimisation of the user experience. As with all digital activities focused on the user, UX Design also requires in-depth analysis, often defined as user research. A study aimed at getting to know your target audience, identifying needs and user intent. It is, therefore, a matter of carrying out analyses and researches using online and offline techniques, to collect valuable data on users. This data is essential for the design of a website and its contents. Online activities like SEO analysis helps to understand the behaviour of users that navigate a website so it can be optimised. This research should also be done on other websites that deal with similar topics. A SEO analysis will define the intent of users by obtaining the most relevant results given by search engines. This is done by studying the keywords related to the reference area and by identifying the most visited content and websites. A usability test will help to highlight errors to avoid during the development of the new website. More traditional offline research methods are surveys, reading reports and documents related to the sector. These should be reliable sources for an analysis of the market and its public. Customer Journey maps are also very useful. It is essential to have a diagram that represents the different phases, paths and touchpoints through which the user reaches a goal or converts. Analysing this process makes it possible to highlight behaviours as well as the motivations, difficulties and needs of the user. The identification of the main obstacles in the navigation path allows the design of new funnels that are more effective and engaging. It is possible to create a potential audience through Personas (this is a stereotype of the most frequent types of users) this can be done after gathering information about potential areas of interest for your target audience and their behaviour and needs. Personas are a representation of a standard user, with their objectives, their research motivations and potential dissatisfaction concerning content. The UX designers will produce a number of Persona clusters that allow them to reach the largest possible number of users depending on the specificity and purpose of the project. UX designers achieve an in-depth comprehension of the target audience and their goals thanks to segmentation and user clusters based on the Personas. Analysis and identification of the typical users will be carried out jointly with marketing managers who receive valuable information in relation to targets to be involved in marketing initiatives and campaigns, generation of landing pages and commercial proposal. After having identified and analysed the target audience, now it is time to design the user experience that you want to create. Through a Brainstorming phase – that is possible to share with the client in some cases – ideas are generated to take advantage of opportunities and to resolve problems found during the user research. All the ideas and suggestions of the design team are collected – collecting even the banalest and most disruptive proposals – to evaluate all possibilities. Later these ideas are examined and selected choosing those considered relevant to the project. This is the post-it phase, by arranging post-its on a bulletin board you can create a visual map that will open the debate for selecting the most valid ideas. We then proceed to create a sitemap, a site map built from the ideas that emerged in the previous phase, to highlight the hierarchy of content and the navigation structure of a website. Such maps are often also produced for mobile apps and are useful for showing how the contents will be organised, divided into sections and individual pages, and how the user can move from one section to another. In general, a first flowchart of the user’s path to conversion is also established. This is not yet the customer journey map, but simply the path outlined by the designers. This prototype, often designed by hand or with specific tools, is discussed and created by involving UI designers, who deal with usability, ease of navigation and ease of retrieval of content sought by the user. The wireframe of the new site is now created. A digital prototype that is given to the client as a mock-up of the website. These are usually static images, which can be transformed into interactive presentations, to make the customer understand the navigability and interaction with the user. This is done using popular programs such as Powerpoint or Keynote, and can be done before even writing a line of code. Once getting the clients approval, a web-based prototype is created, interactive and navigable to confirm functionality and satisfaction by testing it. The UX is focused on the user. For this reason, it is impossible to test the website program prototype without trying it on real users first. Everything that revolves around digital may appear to many as a collection of cybernetic and non-human systems and tools. But this is not the case: the digitisation of content and services needs to be tested by humans because it is designed to respond to their needs and simplify people’s lives. So even a User Experience project cannot disregard a usability check with its target audience. How? You can select a group of users and submit the prototype and then interview them, or create a focus group. You can organise tests in a prepared room, with PCs equipped with a webcam for eye-tracking, or oculometry, which generate the map of eye movements that happen on a web page. We also collect click data, the time it takes to reach content or generate conversions and any errors in using the site and the interface. Among the usability tests that can be performed are very useful A / B tests related to multiple prototypes, to identify the most efficient one. Information on the tests carried out: What was tested, where, when and through which equipment. Method: How the survey was conducted, what activities are asked of the users, what data was collected, who were the participants and their demographics data. Analysis results: Presentation of collected data, composed by plans, infographics, and possible user feedback. Results and recommendations: What emerged from the analysis of the data, with the most positive and negative aspects, combined with a proposal for problem-solving and optimization of the design, user interface and possible Call To Action. The report should be understandable and useful for managers who will probably read the abstract, to UI designers who are more focused on details and to developers interested in operational proposals and implementations. After finishing the final product and releasing it, it’s important to monitor the results of the website to verify the usage data and the users’ audience in order to improve usability. In fact, UX problems can arise that condition the achievement of the objectives. These may be difficulties, or hostility, shown by users in completing the registration form because it is too complex or invasive with respect to personal data, or the management of the shopping cart and the payment methods of an ecommerce site are complicated. For example, from the analysis, it could emerge that in an ecommerce site users move immediately from the cart to the search engine inside the site to ask for information on shipping costs. Probably in the cart, or on the site, there are no indications or an FAQ page that provides clear information on shipping costs, delivery times and the possibility to return the purchased items. The client will greatly appreciate this type of report, which generally includes the tables coming from the analytics tools but also indications on the criticalities and opportunities for improvement. For the elaboration of this document, it is necessary that the UX Designer has specific data analysis skills or is flanked by SEO professionals, able to identify and interpret the most interesting data on user behaviour and site UX. HubSpot is the best-known platform for Inbound marketing, its technique consists in being found by a user who is looking for your product or service by attracting him or her to the website, and generating a qualified lead. The HubSpot home page is visited by over 4 million users a month and the tool is used by over 48,000 companies over 100 countries. The HubSpot managers have redesigned the website improving the user experience and functionalities in consequence of the turnover and the growth of the company. The top managers at HubSpot have selected a project leader and a UX Designer, a visual designer, a developer, and marketing manager, as well as six consultants who have dealt with copywriting, technical development and product positions. The homepage was obviously lacking important information for users, this resulted in many people leaving the site. The analysis was carried out through heat maps, which show the elements of the page where users click, and scroll maps, which highlight the elements down the page consulted by users. The analysis was conducted on 25,000 users for each page and provided 467,308 unique data for each element on the page. According to research, only 25% of users were scrolling the homepage entirely. The testing sessions with users were also recorded giving valid data in interviews. It was necessary to identify the users’ motivations after noticing the usage data. Groups of users and stakeholders were selected to have an interview. As 10% of HubSpot’s home page traffic involved customers accessing reserved pages or searching for resources, the User Experience design team interviewed some of them to validate other data sources, but also to determine how the new home page could provide dynamic content to specific user targets. Interviews with internal managers, marketing managers, sales office managers, and customer support were also added. Evaluation elements were also done through Sentiment Analysis especially on Twitter and with the analysis of customer service e-mail and conversations. The UX Designers have made changes to the current homepage so they can perform various tests useful for testing multiple combinations simultaneously and obtaining general data on site performance. Test results helped to promote or eliminate specific design elements providing useful elements to the redesign of the new homepage for the entire team. The UX design team developed Lo-Fi prototypes to start the sharing phase with the stakeholder and then they moved on to the visual design phase. After having received indications from thousands of selected users, the low fidelity prototypes had a striking resemblance to the final product. Visual designers drew up the mockups whereas developers started drafting the code relating to interactions. Hi-fi prototypes improved the visual with HD images and almost definitive colours. Research has shown that 16% of Hubspot users log-in from a mobile device and over 19% of the US population has specific accessibility needs. For this reason, they acted on the compatibility between devices and accessibility. The next step was writing the code using the CMS from the company and ensuring the compatibility with all devices and browsers, including Chrome, Safari, Firefox, Edge, Internet Explorer, Yandex, and Opera. The BrowserStack tool was used to verify the site on various devices giving priority to corrections based on the use of each device. The new version of the site was launched online. The team started an analysis phase of web navigation data with tools such as Google Analytics and HubSpot, carrying out tests on thousands of users again using the heat maps. The current version of the site, which was optimized, fully corresponds to the expectations of the clients and is realized on the principles of “customer first”. The UX Design requires high technical skills because it includes analysis in all phases of the design, launching, and monitoring of the site. After submitting a prototype of a site or a graphical interface, this tool allows you to create surveys and interview users, for getting data from a group of users, and to create personas. It lets you collect comments about usability, contents, and functionality. Loom allows usability tests to be carried out through the creation of a video with website images and a commentator’s thumbnail asking questions to a group of experts related to UX and navigability, obtaining qualified feedback. This tool allows you to obtain valuable indications for the new project. This tool allows creating, without writing code, the interactive site prototype, testing the user experience and sharing the work with customers and the design UX team. This tool is very useful to test the most advanced prototypes, to creating heat maps and scroll maps that help designers to improve the elements with fewer visits, to positioning graphic elements and the CTA and verifying how to optimize the lower parts of web pages. It’s a tool that allows you to perform A/B tests and multivariate tests on specific user targets, splitting them by geographical areas or browser used. 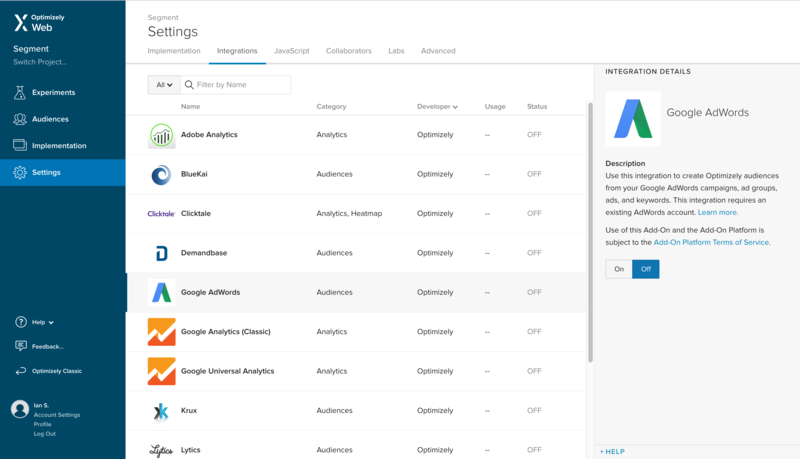 With Optimizely you can test a new website and app design as well as a chatbot, text message and voice assistant. Kissmetrics is very useful to monitoring users in real time while they interact with the site. It provides results based on user behaviour useful for planning marketing campaigns. 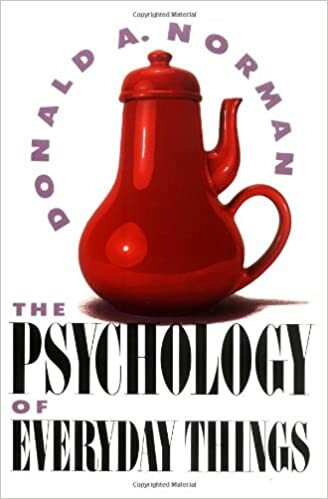 The Design of Everyday Things is a best-selling book by cognitive scientist and usability engineer Donald Norman about how design serves as the communication between object and user, and how to optimize that conduit of communication in order to make the experience of using the object pleasurably. 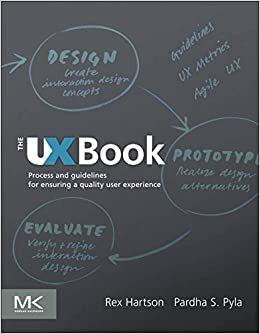 The UX Book is written like a guide on UX design. It is based on guidelines and design of user experience techniques. Theory and practice to learning how to improve the user experience. It is not recent volume but still consulted. This site is highly regarded by UX designers, is based on user experience topics. There are various articles on user research, visual design, and analytics, available to a social network community of over 35.000 people. It’s an online resource that offers articles about all aspects of user experience. The contents are made by professionals being part of a community. Updates are daily.